Recently, I was asked to make a few brunch items for a party where 200 were expected. 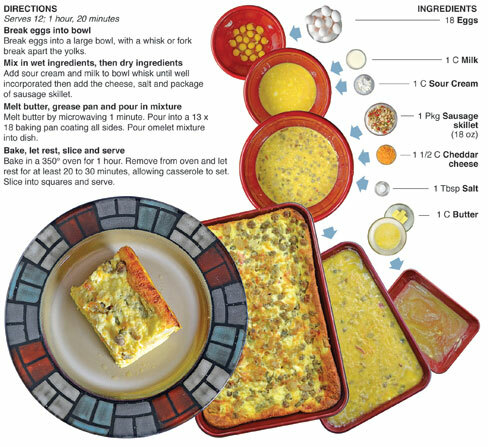 The first thing I thought of was an omelet casserole my Mom makes at Christmas. She told me it was a recipe used by the ladies at St. John Bosco Church for their annual breakfast for high school graduates. She has helped put on the event for years and has access to the recipes. She granted me permission to use it, but I had to say 48 Hail Marys and 36 Our Fathers in exchange. 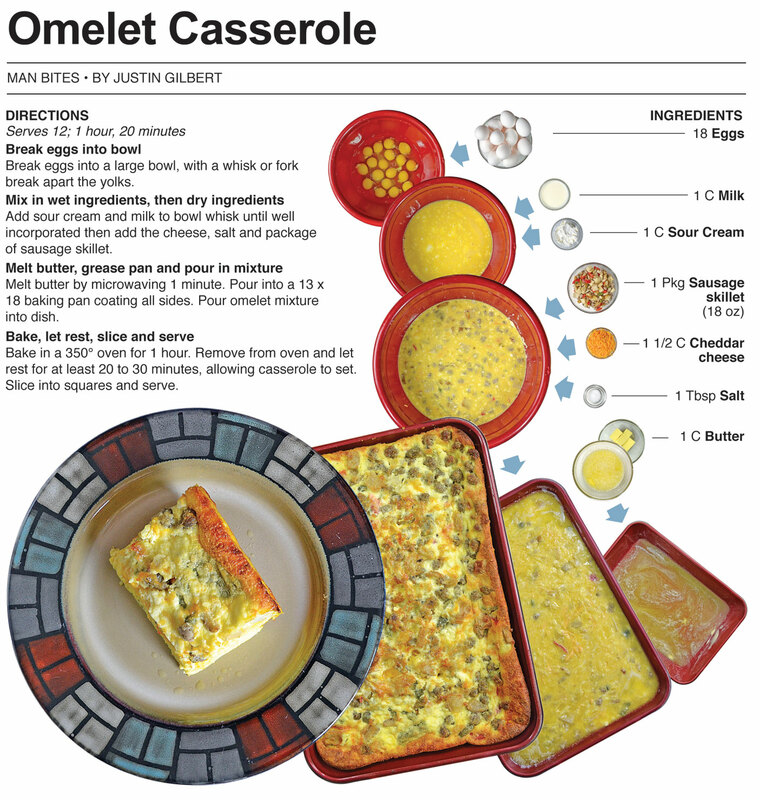 For this recipe, I make the St. John Bosco omelet casserole. I simplify it by using a bag of sausage skillet to replace a few fresh ingredients. The modification was made to save time because I had to make three pans of this for the party. The change doesn’t effect the overall taste and more importantly, it keeps the original recipe safe. I wouldn’t want to be excommunicated from the church for taking a secret dish from the ladies of St. John Bosco and publishing it in the local newspaper. This was one of three dishes I made for a family member’s graduation party. It was a late morning/early afternoon celebration that featured a brunch menu. Most people had multiple graduation parties that day and starting it off with a tasty brunch was a home run for those who attended. The other two dishes we’re biscuits and gravy and – the big hit of the party – french toast casserole. 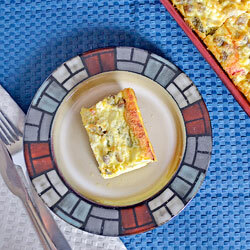 (French toast casserole is another gem that the ladies at St. John Bosco make. I’ll make it for the blog in the future – after I’ve said another 319 Hail Marys and 426 Our Fathers.) My mom insisted on making it for the party - which she did. I went with the omelet casserole for the print column because of it’s ease. It has a wonderful flavor and it can feed a lot of people. It’s perfect for a breakfast or brunch party and the toughest part is cracking the eggs. Although this was a brunch party, I think that the breakfast dishes would be a fun idea for a party in the evening, just for a different twist. I love breakfast food and could eat this dish for any meal of the day. Throw in a side of biscuits and gravy and I’ll be in culinary breakfast heaven.